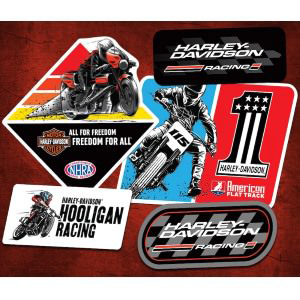 Get FREE exclusive Harley-Davidson Racing stickers to show your love of racing on two wheels! One sticker pack per person. While supplies last. Offer valid for shipping to U.S. addresses only.